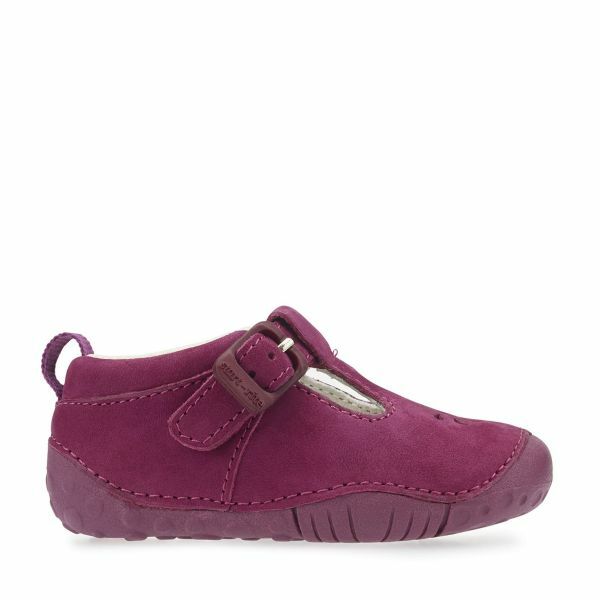 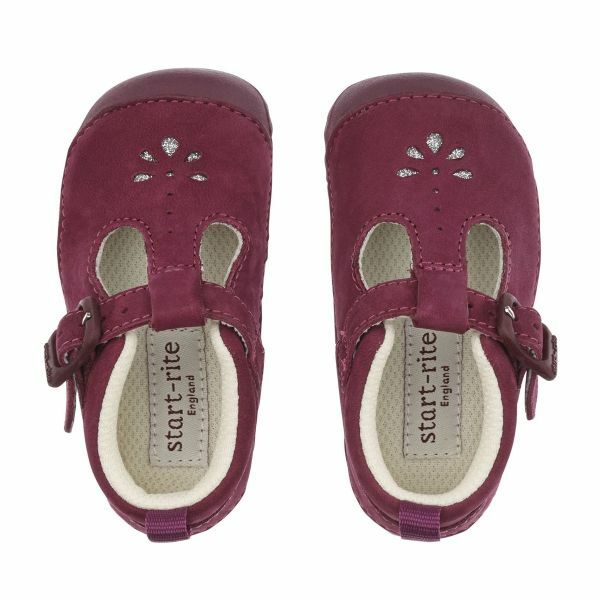 Our dainty T-Bar buckle shoe with a modern twist moulds seamlessly to tiny feet. 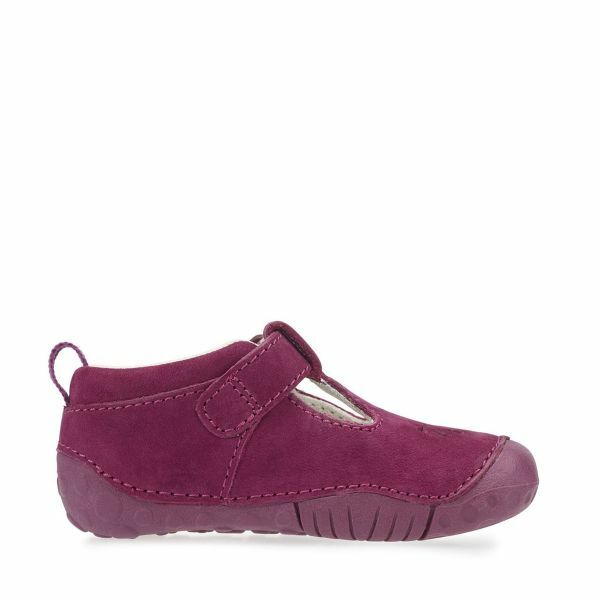 Made from ultra soft berry nubuck and with cushioned insole for the ultimate comfort. 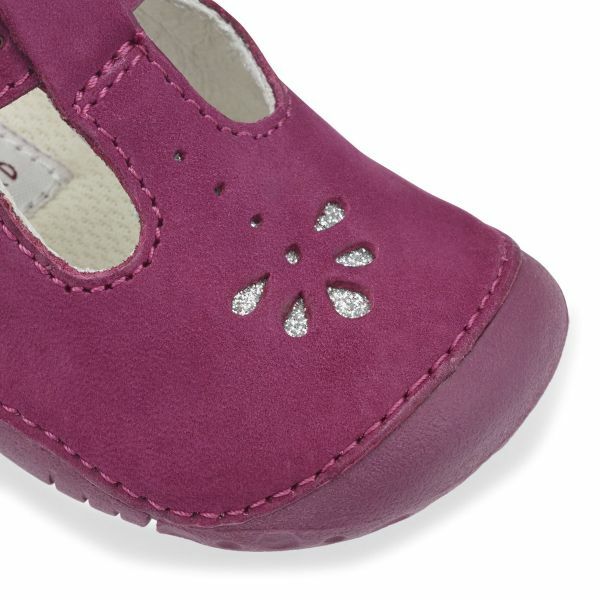 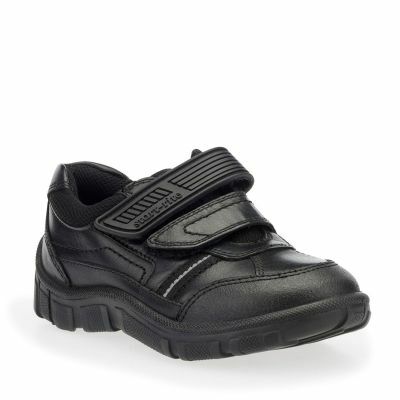 Heel and toe bumpers protect delicate feet. 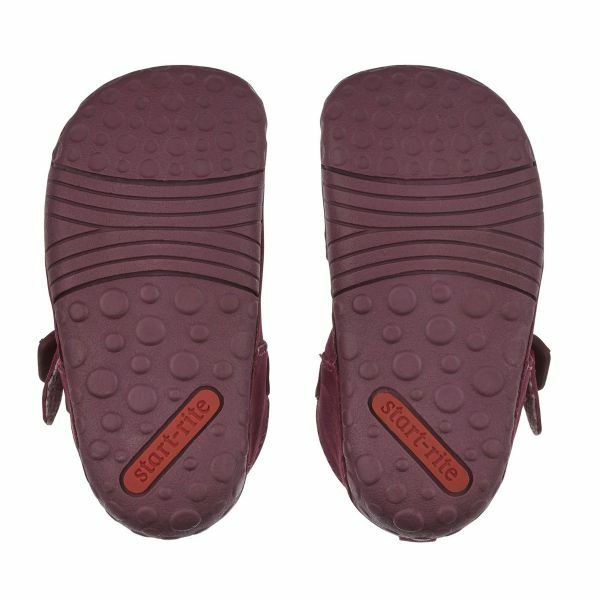 Unhindered movement with our most flexible, lightweight soles. 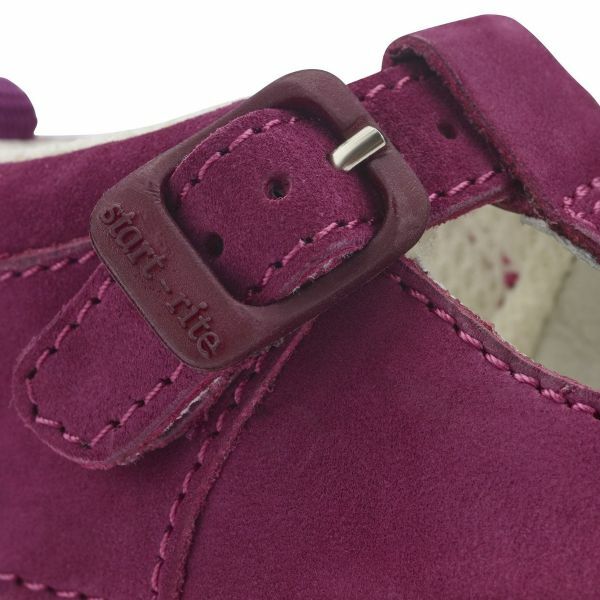 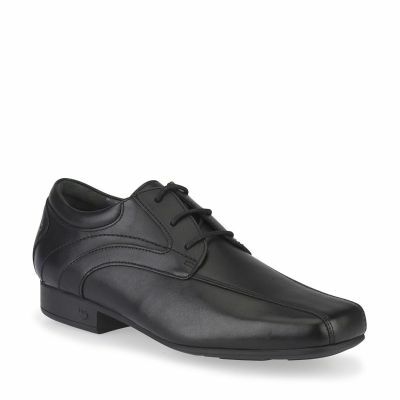 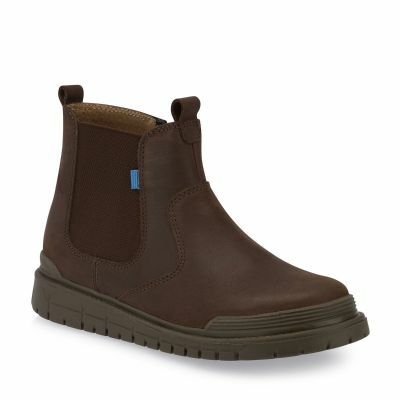 And easy buckle fastening – for quick, fuss-free adjustability and to ensure those shoes stay put always.